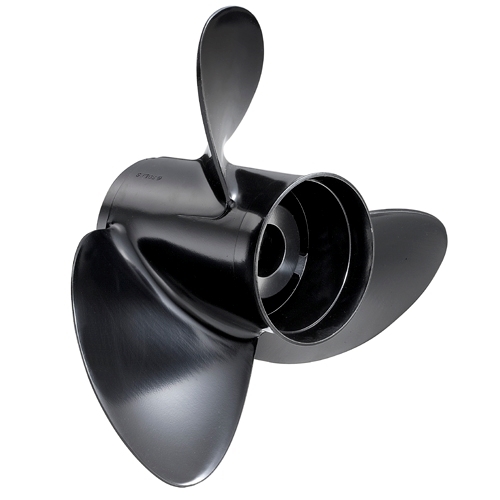 The SOLAS Rubex Aluminum 13-1/2 x 15 RH 9411-135-15 boat prop is manufactured with the SOLAS Rubex cast process, which gives you an ultimate propeller. The aluminum Rubex 9411-135-15 is a top notch propeller that incorporates the Rubex RBX hub kit technology. Buy your SOLAS Rubex Aluminum 13-1/2 x 15 RH 9411-135-15 boat propeller today and save big today. I am impressed with the Rubex 13-1/2 x 15 prop. Easy install and nice fast shipping. This replaced my first prop that Homassa put it’s marks on. The price was half that of a local dealer, so even though I like the dealer it was a no brainer. Delivery was quick and the packaging was perfect. I ordered a Solaris prop and hub a while back and was so pleased with its performance and quality that I ordered another as a backup. Great props at a reasonable price that fit perfectly the first time. No complaints here whatsoever!